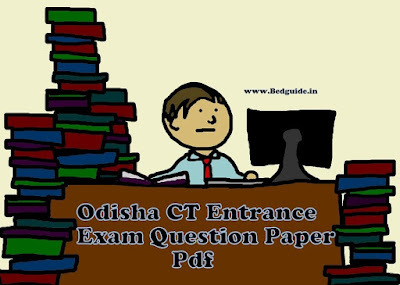 CT Entrance Exam 2019- Looking for Odisha CT Entrance exam question paper pdf then you are in the right place. 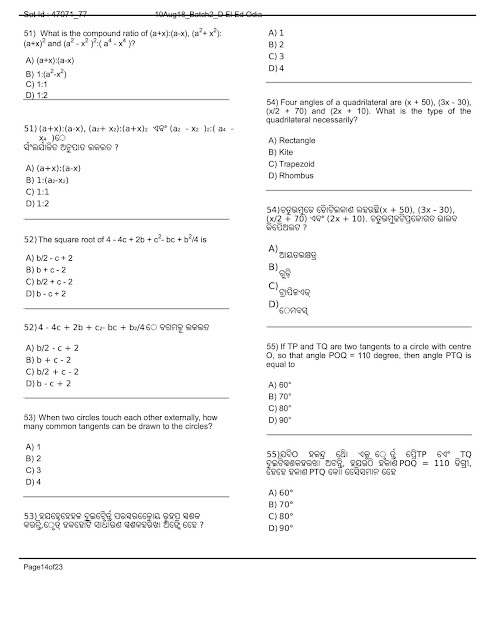 Today I will provide you the previous year question paper of CT Entrance exam Odisha. This year SCERT Odisha conducted entrance test for CT Exam Odisha 2019. 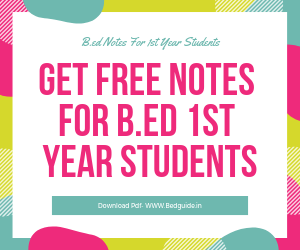 You need to download previous year question paper of CT Entrance exam Odisha. D.EL.ED is a 2-year professional course. D.EL.ED stands for Diploma in Elementary of Education is a professional course. The aspirant needs to crack D.el.Ed entrance exam in order to get admission into different CT colleges across the country. After completion of D.EL.ED course the students is able to teach upper primary students in the school. After getting admission into the teacher training school he/she should be trained in that school. The candidate needs to read some important term and condition of SCERT before he/she is going to apply for the entrance test. After passing 12th class all students can take part in this entrance examination in respect of all streams. You need to have some important entrance guide to crack this examination. Also, you should be practice previous year question paper, it enables a student to understand the question pattern and subject matter. Today I am giving you Odisha CT entrance exam question paper pdf so that you will download it and practice for yourself.